The movement also planned to rip up the crops which they fear could ‘contaminate’ nearby fields, prompting St. Albans City and District to apply to the Home Secretary for greater police powers. Security around the site in Harpenden, Hertfordshire, has been increased in preparation for the demonstration. The order they were granted prevents anyone going on the land belonging to Rothamsted Research. There is a heavy police presence around the center and a nearby park, where activists were gathering before walking to Rothamsted. Professor Maurice Moloney, director of Rothamsted Research, said protestors could ruin years of research and insisted the chance of any cross-pollination was remote. He said: “We have no idea who is advising them scientifically, because it is absolutely incorrect. 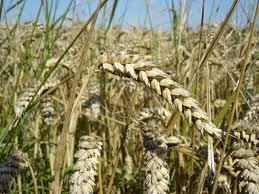 “Wheat is a self-pollinating plant so there is virtually no chance of any cross-pollination with local wheat. 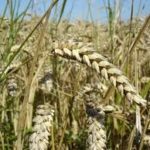 “This open air trial poses a real, serious and imminent contamination threat to the local environment and the UK wheat industry. This crop is a threat to our thriving wheat industry and our food security. This action is for anyone who feels able to help take it out, and all those who wish to support them,” according to the activists’ website. Scientists, however insist GM wheat is safe as protestors went to the extent of advising people attending to bring their own ‘bio-hazard protection and dust mask’ if possible. The experimental crop of GM wheat was planted in April and is due to grow until September. It has been developed with genes from the mint plant. Prof Moloney explained: “As a result, the wheat produces a volatile chemical which the aphids don’t like and it makes them go elsewhere.